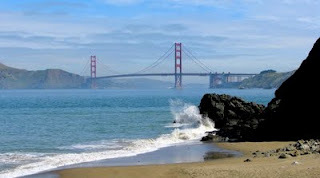 I crossed the city of San Francisco via two buses and boarded a train to Palo Alto. Arriving in sunny Palo Alto, I followed the map on my phone – walking past tall palm trees and a shopping mall. Finally, I stood at a busy commercial intersection, in front of a sleek glass and cement building. I checked the address. This was it. Funny, I thought, it wasn’t what I’d expected. Stanford University’s Medical School is responsible for many of the major advancements in our understanding of sleep, dreaming and narcolepsy over the past half-century. It’s the home of two world-renowned scientists – Dr. William Dement and Dr. Emmanuel Mignot. I’d made the trip to Stanford’s Center for Narcolepsy – not for a diagnosis or medication. I’d come to meet “them” – the people behind the magic. Outside a sturdy metal door, a small sign read “Center for Narcolepsy.” The door was open, so I entered on my own. Inside, I saw white lab coats hanging on a rack and a long corridor of doors, but no people. They were expecting me, but not wanting to snoop around a science lab – I tiptoed back outside and rang the “after-hours” doorbell. Promptly, four people emerged to greet me. I re-entered the building. “Hi, I’m…” I said, timidly. “Nice to meet you! Yes, we’re expecting you,” one man said as he gestured for me to follow him. We walked past large rooms of intimidating equipment to enter a back lab room where we met up with Mali, the head coordinator of the Stanford Narcolepsy Center. Once with Mali, we toured the entire lab – each scientist sharing an overview of what they were working on with me. I learned about fascinating things like “sleep spindles” and zebra fish. I shared a bit of my experience with narcolepsy with some of them as well. Although I try to stay informed about the science of narcolepsy, some of their words and descriptions went over my head. I smiled and nodded just the same. I think we all knew I didn’t speak their “language,” but it hardly mattered. What mattered most was just being there – meeting face to face – in honor of something we both care much about – the future of narcolepsy. The money I raised while running the Boston Marathon with Wake Up Narcolepsy last year is currently funding one of the lab’s main studies – the Immunochip project to better understand the gene markers and autoimmune development of narcolepsy (read more here). research group for over 18 years. 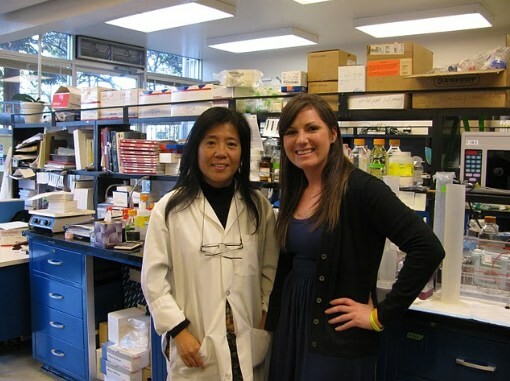 While speaking with one of the scientists, I admitted that I had yet to donate blood for Stanford’s research purposes. Deciding there was no time like the present, they whipped into action getting the paperwork and materials necessary for me to give blood. As luck would have it, my blood sample will be used in the Immunochip project – the very same study my marathon funds helped support. We all laughed, realizing both my blood and sweat had gone into this study. It was a proud moment. I got to meet with Dr. Mignot during my visit as well. (I had the honor of meeting him once before – read here). He was very enthusiastic about his research, including the Immunochip project. My throat tightened – as I remembered the sobering reality of how underfunded narcolepsy research is in our society. Yet Dr. Mignot remains dedicated and hopeful. “I have some crazy ideas too,” he said with a smile – his French accent somehow making his crazy ideas so much more enticing. I couldn’t help but chuckle. Dr. Mignot having “some crazy ideas” was great news. The Wizard of Narcolepsy wouldn’t be the Wizard if it weren’t for a few crazy ideas every now and again. I used to think science was rigid and boring. Yet this visit helped me see the art of science. Like art, science requires attention to big ideas and small details. Our understanding of what is “good” and “right” in art and science is always evolving – as boundaries are constantly being crossed. Both disciplines build on the ideas of the past yet require people to “think outside the box” to move progress forward. Most importantly, at the heart of science are people – the people who work with quiet love for their discipline and the people whose lives are the better for it. From the bottom of my heart, thank you for all that you do. Your science is our hope. Even more importantly, these people of science are full of heart!! 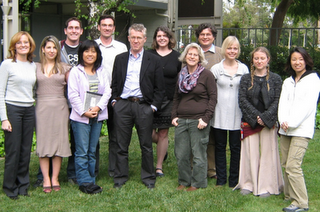 Nice to see pix of my friends at Stanford. Julie it was a pleasure to meet you during your visit! Thanks so much for your hard work- we need all the help we can get to make these advances. We're entering a really exciting phase of narcolepsy research! Great to read about the setting of new research and scientists with real inspiration and dedication to finding solutions to chronic health problems. Seeing their faces makes them come alive in our memories. Your dedication to sharing your journey makes us all humble and grateful. Thank you so much for coming to visit us and working so hard to raise awareness & funding! This is a wonderful tribute to the people who work so hard behind the scenes to advance narcolepsy research. Dr. Mignot and his staff give persons with narcolepsy and their families hope for a brighter future. Great to see how committed Dr. Mignot and his staff are to researching narcolepsy – thanks Julie for visiting and writing about their work! I know that Narcolepsy research is woefully underfunded, and I understand that increasing research dollars for Narcolepsy is no easy task. I am so thankful to REMrunner and people like her for working to increase funding. Something I don't often think about is that even if there were unlimited funds available for Narcolepsy research, there has to be dedicated, smart, interested scientists and researchers who are willing to do the research and spend their lives working for the betterment of those with Narcolepsy. I am so thankful for Dr. Mignot and everyone at the Stanford Center for Narcolepsy – I'm sorry I took you guys for granted! Thank you for your dedication and excellence, and for being willing to spend your valuable time on Narcolepsy research. It makes a real difference for all of us with Narcolepsy, and I am reminded today how grateful I am for you. I really enjoyed reading this post. I especially loved the connection you made at the end between science and art. You should be so proud of the hard work you dedicate to raising awareness and funds for Narcolepsy research…and for your ability to chronicle your experiences with such beautiful writing!